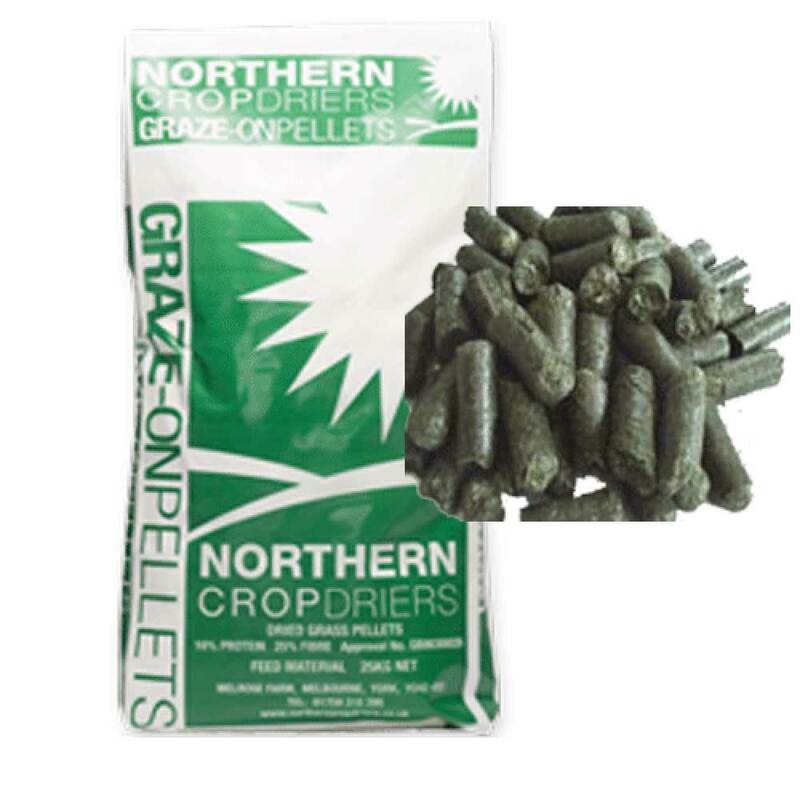 Northern Crop Driers have been producing GRAZE-ON Grass Pellets for use in horse rations and general animal feeds for over 30 years. Our 6mm diameter grass pellet is made from 100% natural, home grown grass that is flash dried then pelleted to lock in the important nutrients and preserve the fresh green colour and aroma. In order to prevent too rapid a consumption we recommend that grass pellets should be fed with at least an equal volume of a bulky feed. Alternatively they may be soaked before feeding to form a mash. GRAZE-ON Grass Pellets are popular with owners of veteran horses as a forage substitute. Once soaked in water they break down into a mash that is ideal for horses with poor dentition.